Same-day, local delivery. On-demand or scheduled when needed for businesses and individuals. On-demand and ready for immediate service or schedule for your future times of need. It's that simple. 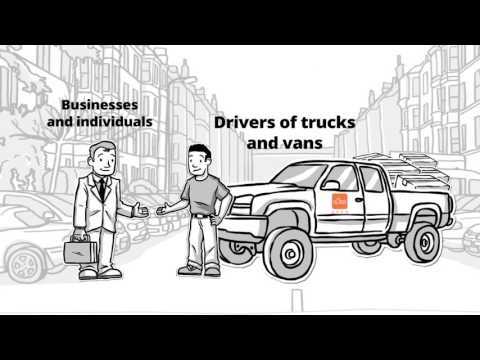 The EZER App connects drivers with trucks and vans to individuals and businesses that need something picked up and delivered. Businesses small and large can save time and money using the EZER web portal and EZER app. EZER offers a simple to use solution for your everyday pick-ups and deliveries, when needed, on-demand or when scheduled. From large bulky and heavy items to single or multiple supplies and transfers, EZER is your source for picking up and delivering. Individuals, when that day comes that you need something picked up or delivered that either won’t fit in your vehicle or you need something right away or on your schedule, you will be ready. Getting big items, heavy items or multiple items picked up and delivered when you want it and where you want it, just got easier. EZER is available to expand to cities worldwide. Contact us for details to bring EZER to your city. EZER drivers are screened, background checked and ready when you need, and we carry $1,000,000 general liability policy to protect your items from beginning to end. EZER Inc. no tiene ninguna noticia disponible.